The basement stairs have been begging for repair. In fact, every time I step foot, they whisper, "Will you just paint us already?" And I plug my ears and run up quickly. It's bad, y'all. 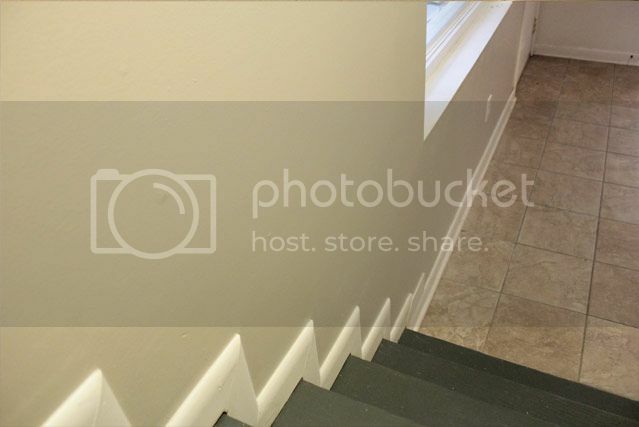 Indeed, our basement staircase was pretty banged up, scratched up, and messed up. 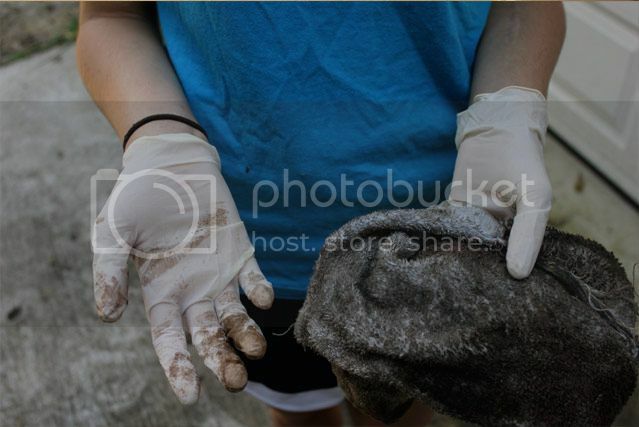 In order to get them to pristine condition, we would pretty much need to replace them. That didn't seem necessary, so a quick paint job seemed the more reasonable approach. They are still a little uneven and rough, but I say that adds character. 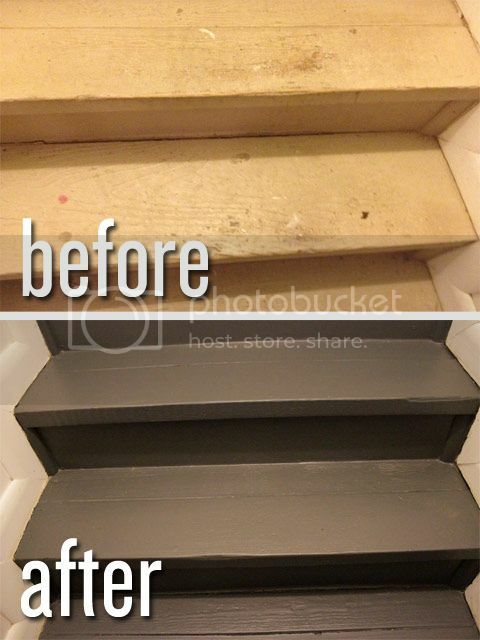 And a couple coats of dark gray paint brought SO MUCH life to these steps. 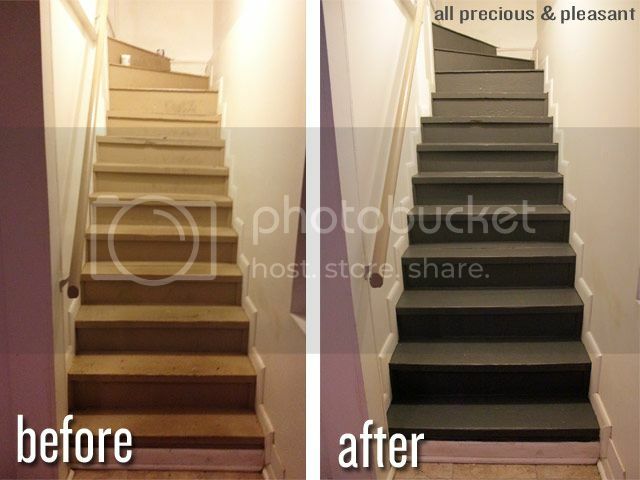 This stair makeover was done in just a few simple steps. No pun intended. Step 1: Sand down existing stairs with 80 grit sand paper to smooth out as best as possible to remove some imperfections. 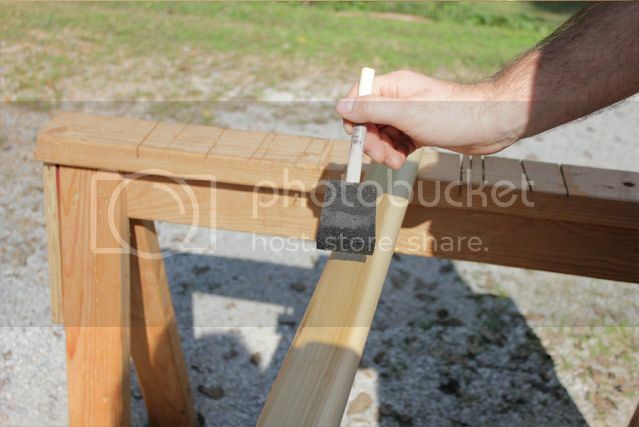 Step 2: Use fine grit sandpaper to smooth everything out. This is pretty self explanatory. I used 120 grit. Step 3: Remove chipping caulk from the edges. I used an exacto knife to cut away a lot of the old caulk that was separating from the steps and looking very tacky. 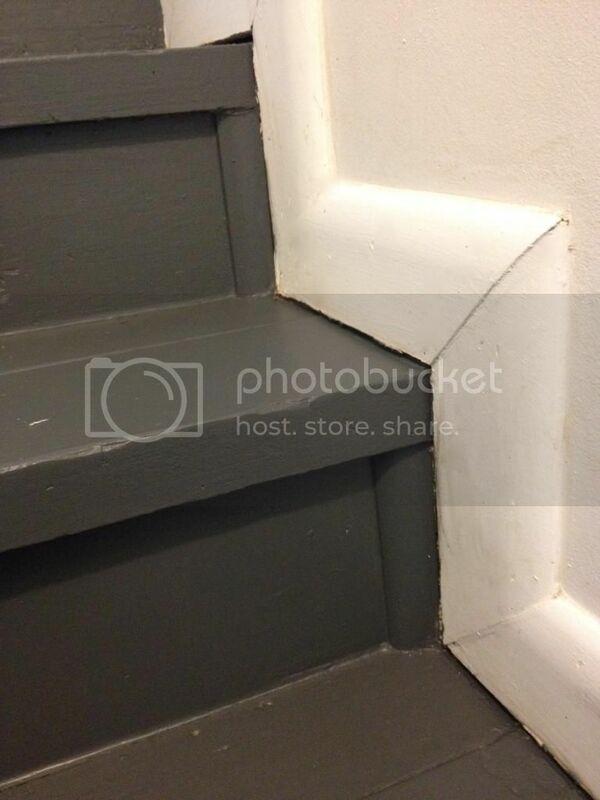 I didn't get any pictures of this step, and I actually didn't opt to replace the caulk either. 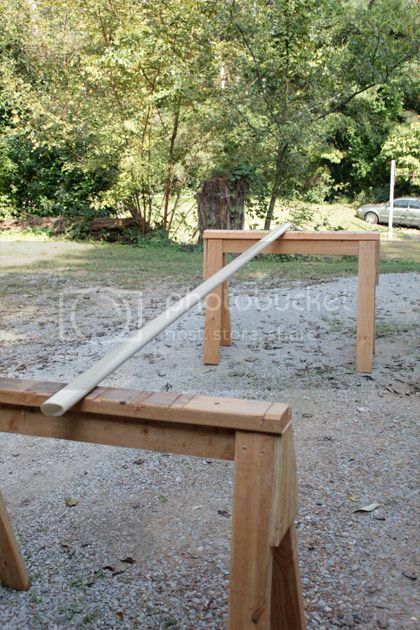 I bought some, and then decided I was ok with a little bit of gap between the wood and the baseboards. Call me crazy. Step 4: Sweep and wipe down the stairs. Step 5: Paint 2 coats of Porch & Floor Paint from the top down and let cure for a full 24 hours. I actually didn't tape the edges on this one, I just used my handy dandy short handled cutting in brush to go around the edges and a foam roller for the main parts of the steps. Tip: wipe the steps down as you go.Even though you've already swept and wiped them down, they will get dirty as you go, so keep a rag handy and wipe as you go. 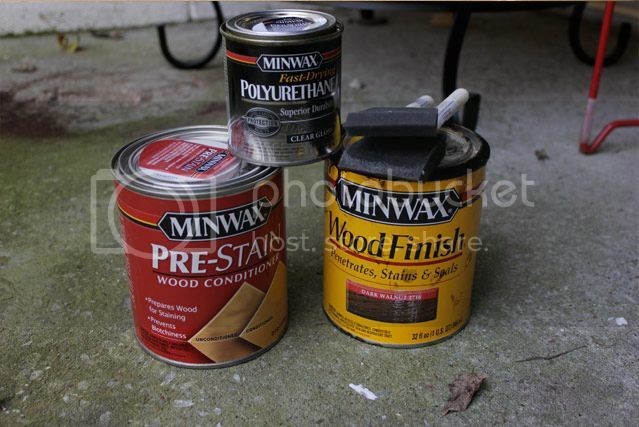 Tip: Use porch & floor paint.You can't use just any old paint for this. Make sure you use paint that is formulated for walking on. 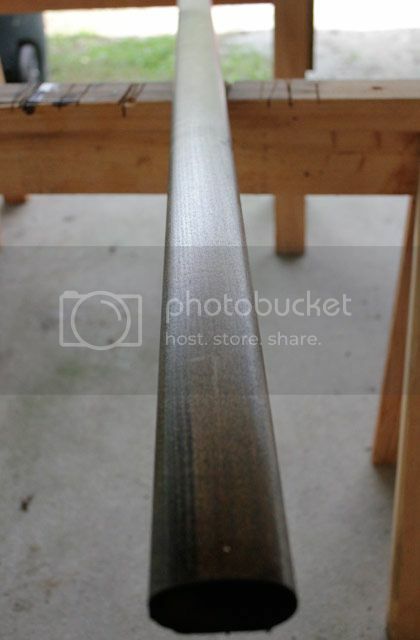 I used Valspar's Porch & Floor Paint in Muted Ebony. 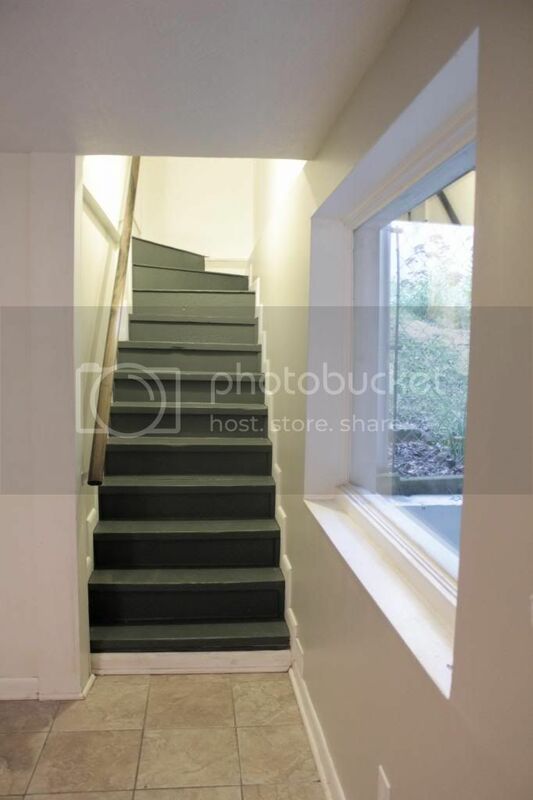 Also, I could have done the entire staircase with a quart. I bought a gallon and I have SO MUCH leftover! 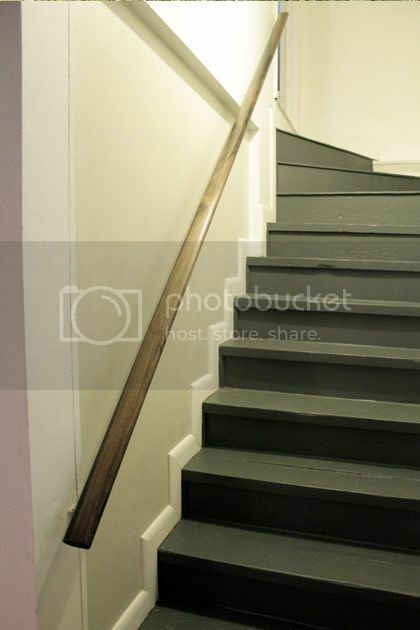 I may have plans for some of that :-) For stairs, you can buy an additive for your paint that will make it a little bit rougher and keep you from slipping down your stairs, but our stair wood is so rough that I didn't do that. So, there you have it. A simple and very impacting update. 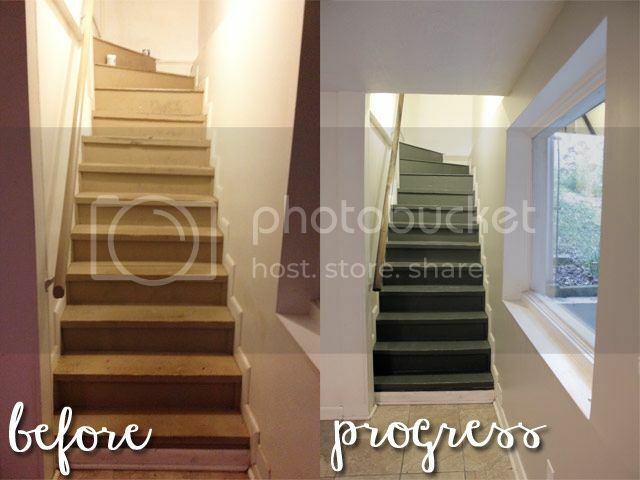 We use these stairs all the time, and it's the first thing we see when we come in the house from the carport, so it is going to make a big difference! 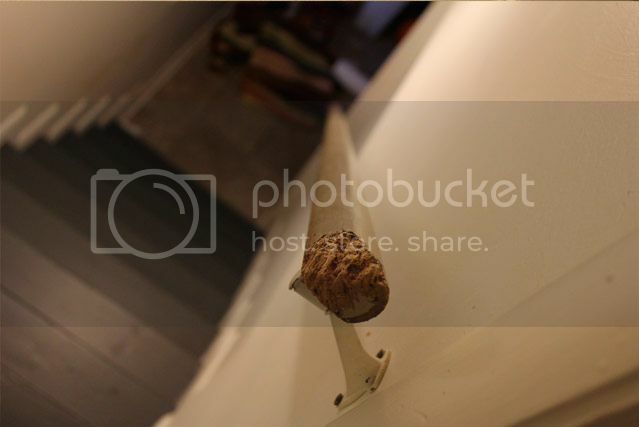 Stay tuned for what is going to happen with that hand rail...and the walls could use some love too.